Blue 17 Vintage Clothing are proud to offer a unique range of high quality vintage dresses with options suited to all eras and decades; making it possible for all to find day and evening wear that they can truly fall in love with. From the 50’s lindy hop look to the glamorous gowns showcased in the 30’s, we leave no corners unturned and constantly strive to offer not only the best selection but also the largest. In addition to this we are able to guarantee that all of the dresses that we put for sale are of the highest standard and in the best condition, as out team constantly trawl through dresses to ensure that they are faultless, so that you don’t have to. When shopping with Blue 17 Vintage Clothing you can rest assured that you are going to purchase a one-of-a-kind piece and in turn avoid showing up to any gathering sporting the same as any of your friends. From magazines to TV programmes,it is clear to see that vintage dressing is becoming increasingly popular, and here we make it possible for our customers to take the lead and purchase dresses that will receive a great deal of appreciation and admiration. 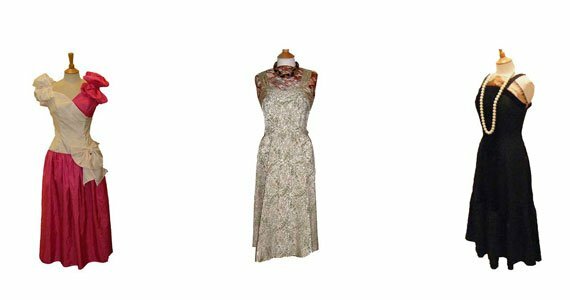 Whether it be a casual frock or formal vintage gown that you’re looking for, we are bound to have an option to suit you perfectly.